When I joined the team, GPS units were big, heavy, expensive and kinda sucked in the bush; if they could not get a clear view of the sky they took forever to get a fix, and when they did it wasn’t very accurate. When you’re a search team on the go, you don’t really want to stop for five minutes to get a fix. Back then we focussed more on map reading and using an altimeter. map and compass to determine your position. Modern GPS units are completely different; they are light, fast, accurate, and have maps on them. Unfortunately with all of this improvement, they have become more complicated, and we as SAR members have come to rely on them more often to perform our tasks. Out team has standardized on the Garmin GPS 60Csx for the following reasons: it’s fast and accurate; it uses the SIRF-Star chipset and a large external antenna. It also has an altimeter and compass built-in. It’d excellent on batteries which saves weight since we don;t have to carry too many. Finally it can display maps, and it is possible to develop custom maps with built-in trails. We have made extensive use of this feature, in my opinion it’s the single most important thing about this GPS. Now everybody knows that a GPS tells you where you are. But in order to navigate you need to know where you are going and there’s several ways to do that. First, a SAR manager can give you a waypoint (a geographic position) to go to, and even draw a route (a set of positions) to get you to your destination. 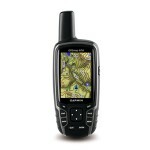 The GPS can follow the route and tell you how far it is to the next waypoint, and what direction it is. Second, you can pan and zoom through the map on the device until you find the place you want to go, and choose to go to the point you’ve selected on the map. Third, you can look at the map and see the built in features, points, trails, creeks and contours and do some dead reckoning based on your position and what you see happening on the map. This is good when you’;re on a trail system and want to know weather to turn left or right. Finally, SAR members are called upon to do something called a “grid” search at times. What this involves is walking straight lines along certain bearings for a certain distance, and then walking back, describing a rectangular area that has been searched in detail. Using the GPS you can project a point at a certain bearing and a certain distance from where you are, and this aids immensely in working through a grid search. Of course the modern GPS is complicated enough that one night is not enough to become an expert; this evening was spent familiarizing the team with the unit, how it works, and how to execute various functions. Any field training that is done involves further mentorship on how to use the unit for a search, how to record a track and how to upload that track onto the management computer so the managers can see where you’ve been searching. I kinda wish all members of the public had GPS units and knew how to use them; that way when they get lost they would be able to report where they were, and even if you don’t know how to get home we could come and get you. How many of you know how to get the iPhone/Android/smart phone to tell you your latitude and longitude? Do you rely on access to the Internet for the maps? Do your maps tell you distances, contours, trails and altitude? If you were lost and out of service range would your phone help or would you be unable to use it’s built in GPS to hep you get home?